This entry was posted in Society is Messed Up, Taiwan, Travel and tagged Pacific Crest Trail by Sara K.. Bookmark the permalink. Without clicking through on ahh of your links, my quick reaction is UGH is there ahh way we can push for the laws in the USA/Canada to be changed to not require the ineffective flame retardant carcinogens? It sounds like it would have to be the most populous states with the most influence or something, the people who buy the most from stores like REI. Since I live in California, one of the states which requires the toxic flame retardants (and probably the state with the most sales), I can certainly contact my representatives in the California legislature and ask them to change the laws. However, I do not think there is much chance of changing these laws unless big retailers, such as REI, push for change, and I think the best way to pressure REI is to refuse to buy their tents until there are FR-free options. I also think that the more organizations get involved, the more pressure there will be to change the laws (I am a PCTA member, and I plan to contact the PCTA about this issue). REI has said this about flame retardants in tents. 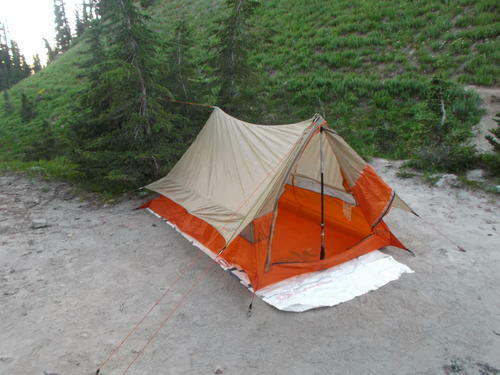 And since any legal change is going to take time, I think it is also good to consider short-term solutions, such as supporting USA tent manufacturers who are exempt from these laws make FR-free tents, or importing tents from countries without these laws.